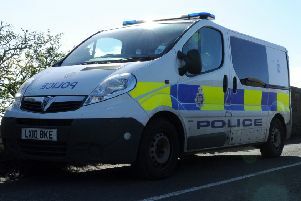 A woman is due to appear in court in connection with an attempted murder in Bainsford. Two men were taken to hospital for treatment to serious injuries following the incident, which took place just before 10pm in Gairdoch Street last night (Monday). A 36-year-old woman is expected to appear at Falkirk Sheriff Court on Wednesday, January 23 after a 45-year-old man suffered injuries to his face and back, while a second man (43) sustained an injury to his torso. Detective Inspector Frank Travers said: “I want to reassure the community that there will be increased high-visibility patrols in the area over the coming days, and I’d encourage anyone with information or concerns to speak to a local officer. Those with information can contact Police Scotland via 101, quoting incident number 3881 of January 21. Crimestoppers can be contacted in confidence on 0800 555 111.